The history of the UK Psychic and spiritualist movement probably predates Britain itself. Psychic phenomenon has been with us all throughout the ages. One simply needs to look at the records of ancient history to see that the psychic has long since played a part in it to varying degrees. Of course, as time wore on, the psychic somewhat fell by the wayside until the talents of psychics, spiritualists, and mediums were rediscovered and once again discussed prominently. The history of the modern psychic movement in Britain reveals this is so. Perhaps it is time to take a look back at this unique historical period to discover how it unfolded. Since psychic phenomenon and the ability to succeed with spiritualism is not limited to any geographic area, it should not come as any surprise the inciting incident that started the UK Psychic movement actually occurred in the United States. The events that unfolded in the United States would have far reaching consequences all over the globe leading to the long awaited rebirth of the psychic movement. On the 31st of March, 1848, two women dubbed the Fox Sisters made contact with spirits that had been bothering them in their home. The notion that those in the afterlife could be contacted by humans was considered shocking news to say the least. Awareness on psychic abilities was immediately raised on a global scale and the fervor over psychic phenomena would eventually reach the shores of Great Britain soon after. It would be in 1852 that spiritualism would make a major inroad in Great Britain when the very first professional psychic/spiritualist medium Maria Hayden immigrated to the UK. While one would think she would have received a "hero's welcome" of sorts thanks to her unique talents, the truth of the matter was she was derided greatly in the press and also by religious groups. She was not, however, intimidated in the least as she would soon launch her spiritualism/psychic endeavors by way of organizing séances and performing a wide range of demonstrations. Such demonstrations also included her displays of being a medium which certainly raised eyebrows. While the then mainstream media did not look fondly upon her, the fact remains she was started to gain a huge following among those that were interested in the art and science of spiritualism. The popularity and interest in spiritualism was more than just cursory. Many started to look towards the serious study and practice of psychic abilities in the mid-1800's. It could be said that it was at this point that the modern psychic movement in Great Britain truly began to manifest. 1853 saw the debut of a church dedicated to spiritualism and in 1855, The Yorkshire Spiritualist Telegraph made its debut. This was the first publication dedicated to the subject. The fact that both a church and a regular publication could emerge and become successful showed that the interest in this phenomenon was greater in numbers than most at the time would have thought possible. Such interest was not passing at it continued to grow rather than dissipate. The British Society for Psychical Research emerged around this time period and its goals were in concert with its name. With so many instances of psychic abilities and paranormal activities emerging in the nation at this point in time, academics and serious researchers would venture into the serious study of the subject. This could be considered a major turning point in the early UK Psychic movement and one that would effectively "mainstream" the movement. Andrew Jackson Davis would also emerge as another legendary name during the early rise of the spiritualism/psychic movement of the middle-1800's. He was an originator of the notion of Lyceum education. This was a rather novel concept to put it mildly. Davis would go into a deep trance where he would enter the spirit world. Once he was there, he invested significant amounts of time examining the education process of children. He concluded that the spirit realm had far greater skills at the education process and he became a proponent of the methods they employed. While not many educators opted to teach children based on reports of what occurred on an otherworldly plane, the serious study of mediums, psychic phenomena, and spiritualism started to come into fruition. This was evidenced by the founding of the Spiritualist Lyceum in 1866 and it was inspired by the work of Davis. One of the biggest achievements of the latter part of the 19th century was the founding of The College of Psychic Studies in South Kensington, London. The founding of this college was intended to employ mediums to explore, study, and investigate the paranormal. It is necessary to point out that after 40 odd years, the "fad" of UK Psychics and mediums and spiritualism was clearly proving not to be a fad at all. The popularity of the UK Psychic movement continued to grow into the early 20th century where it would seemingly taper off. This is not to say that the movement died completely. Serious study into the subject was definitely continued and there were a wide range of organizations continuing to form to explore paranormal and psychic phenomenon. This was clearly evidenced in the founding of the British College of Psychic Studies which remained in existence from 1920 to 1938; but, it would seem mainstream interest would wane. There would be instances where the public would draw its attention back to the topic but the fickle public did not seem to sustain its interest for long stretches at a time as was the case in the 19th century. In modern times, there are still many that are very interested in the topic of psychic phenomena and keep the UK Psychic movement alive. Who knows? Perhaps someone will make a discovery that will reinvigorate the "craze" of prior generations. 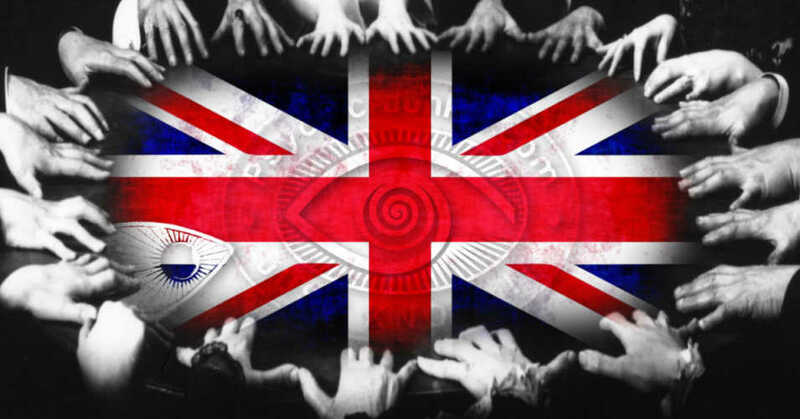 Truthfully, the history of the psychic movement in Great Britain is an ever continuing one that will never likely end.